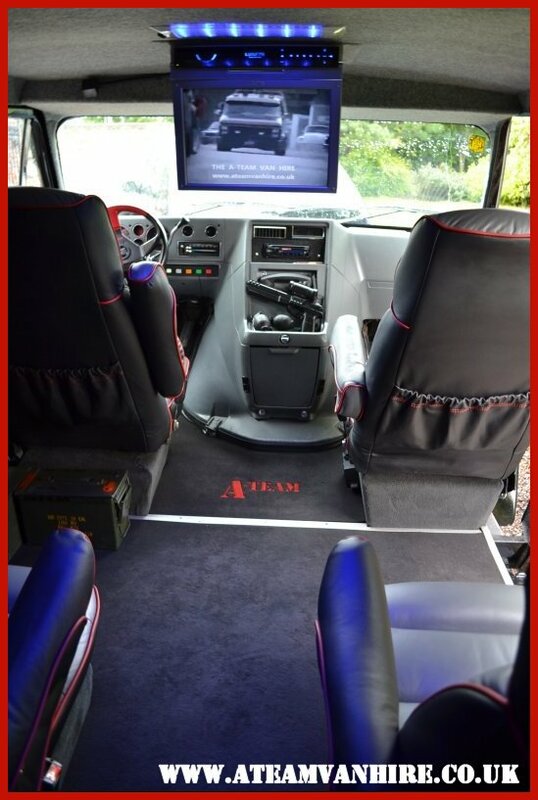 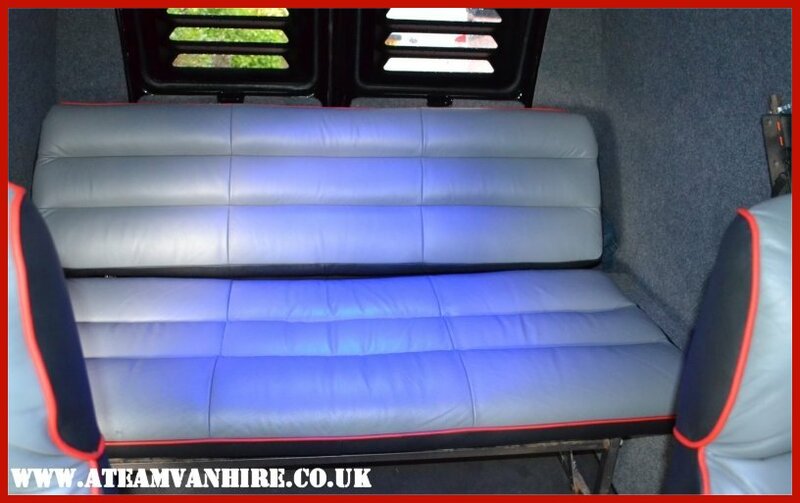 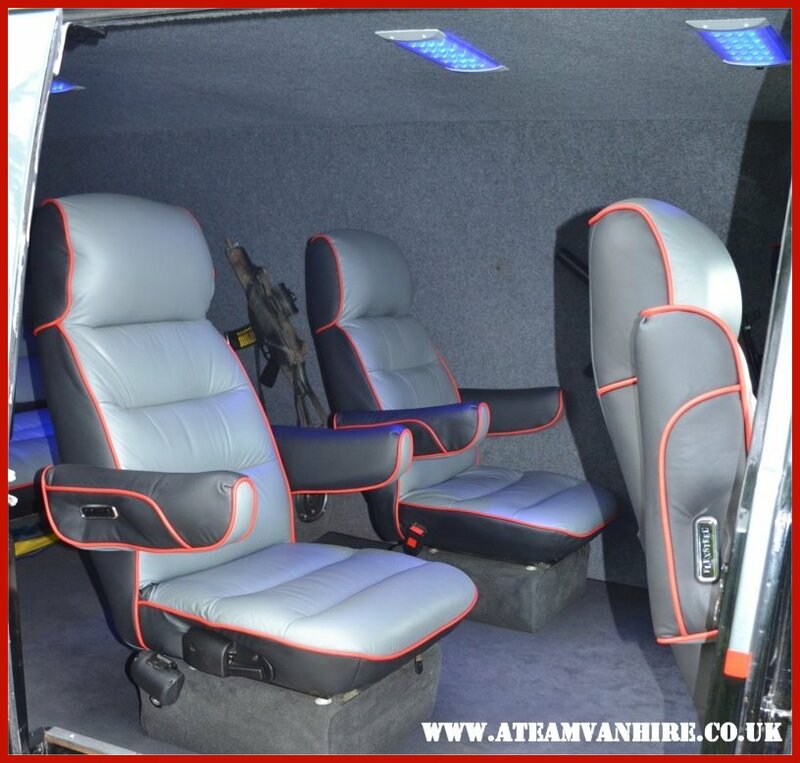 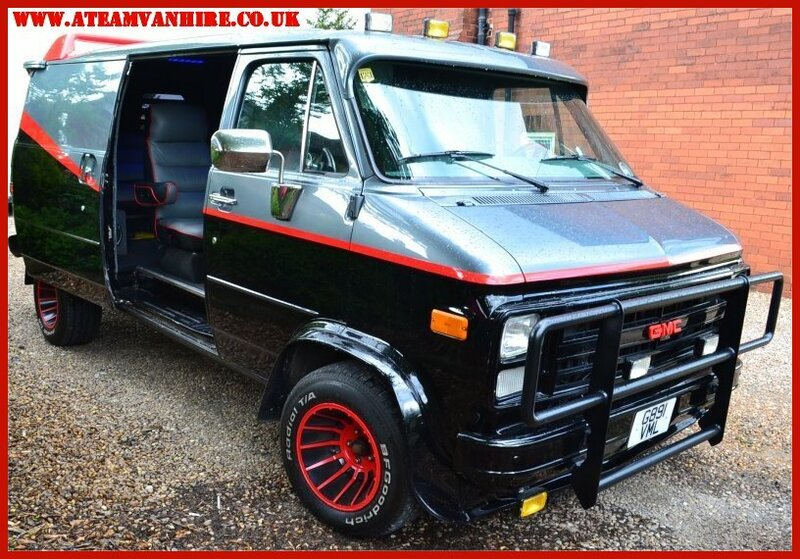 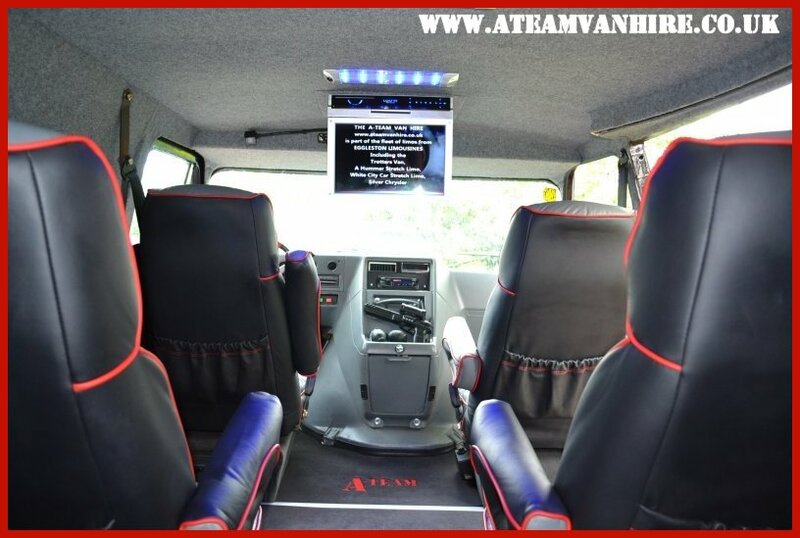 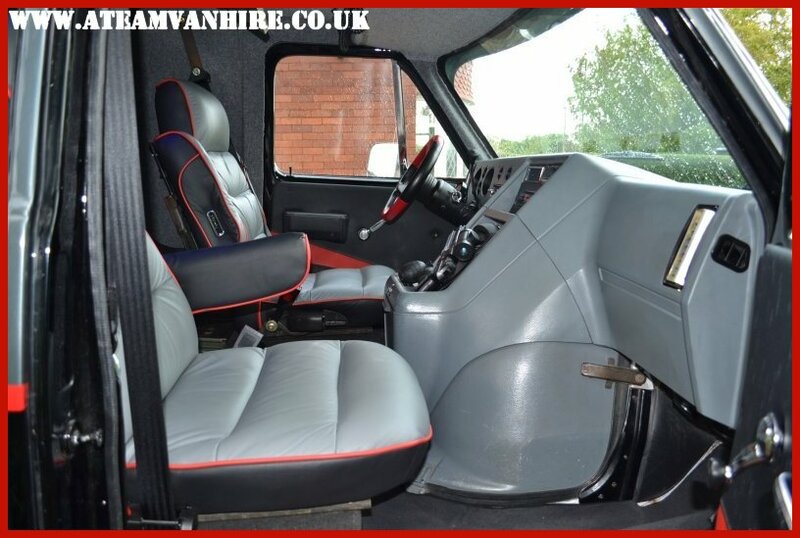 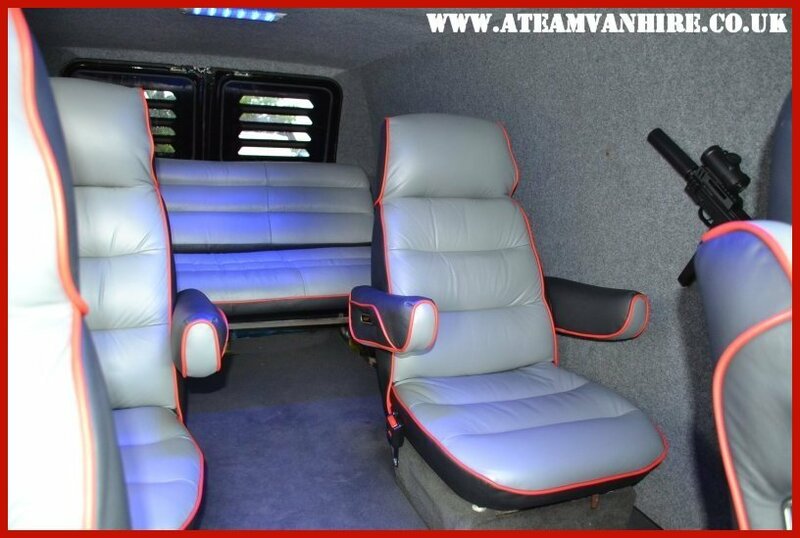 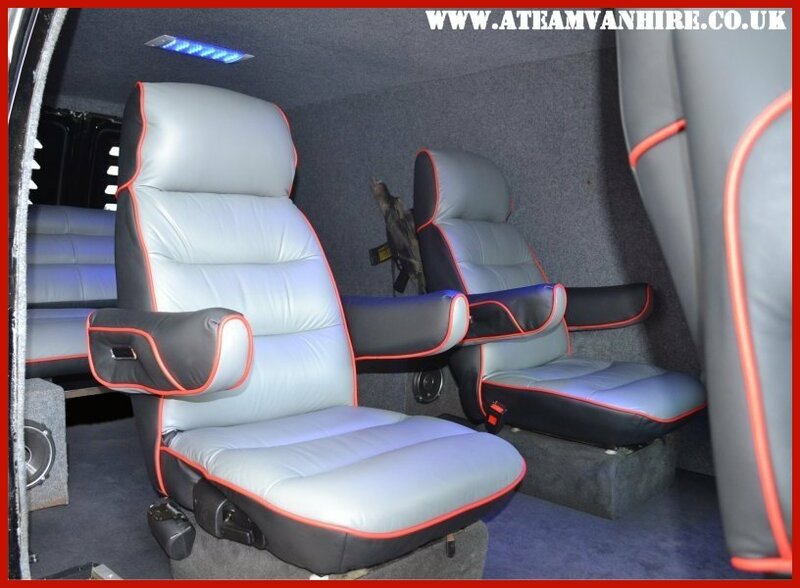 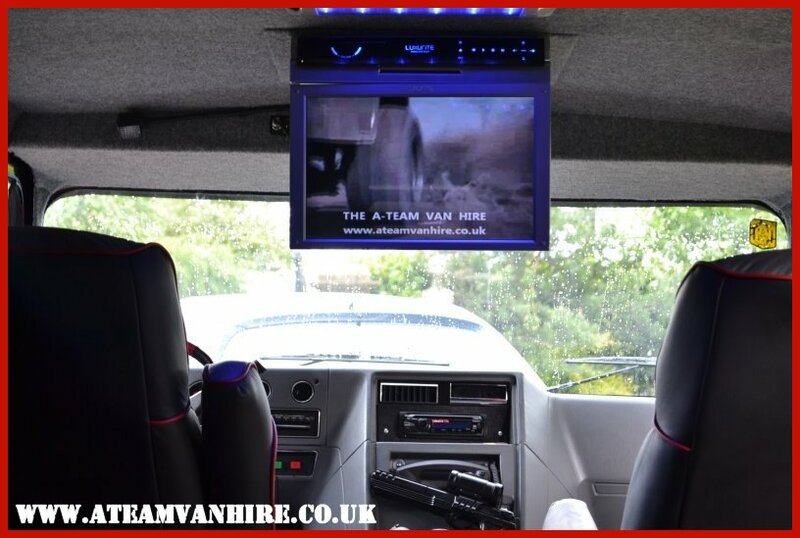 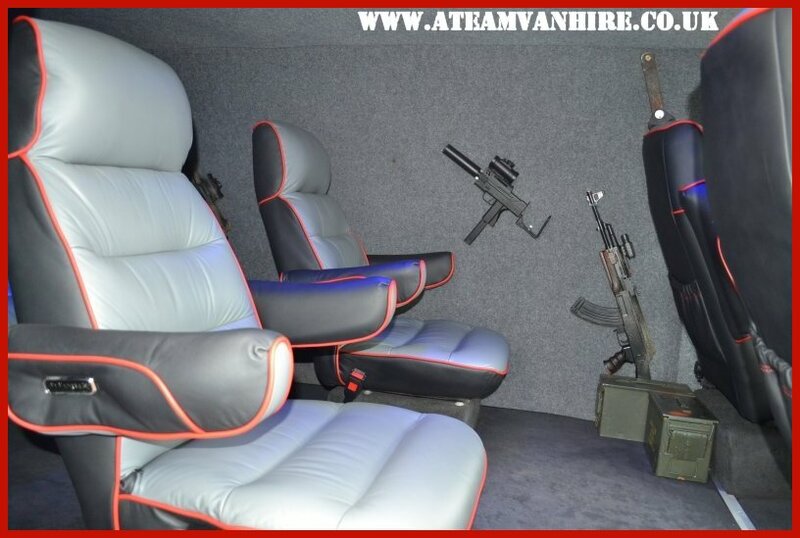 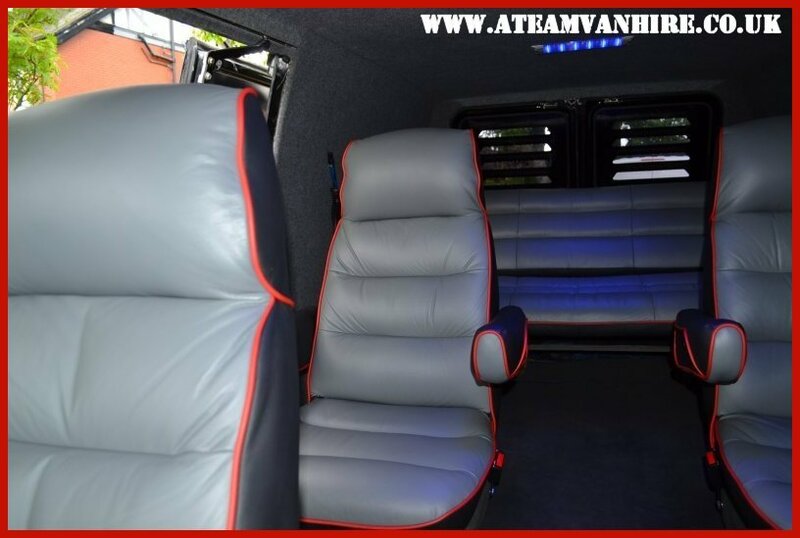 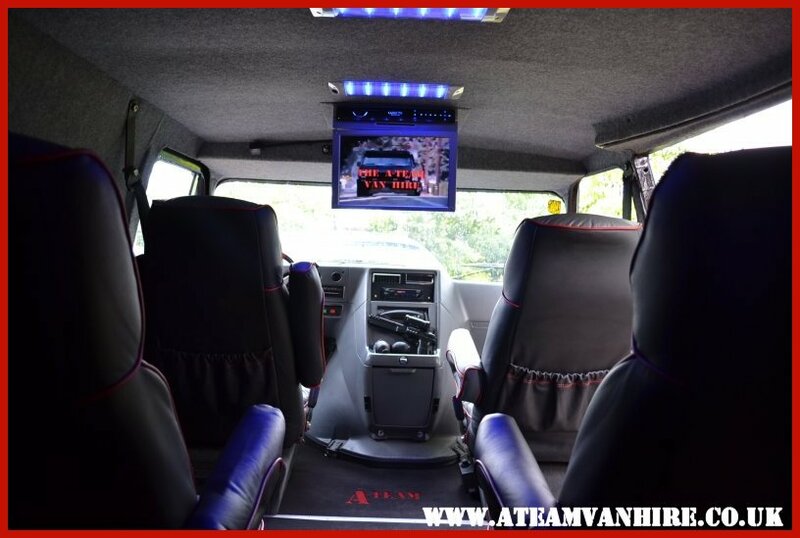 A-Team Van Hire, Wakefield, West Yorkshire is a Novelty limo service entertaining clients in Wakefield and the surrounding areas & UK.. 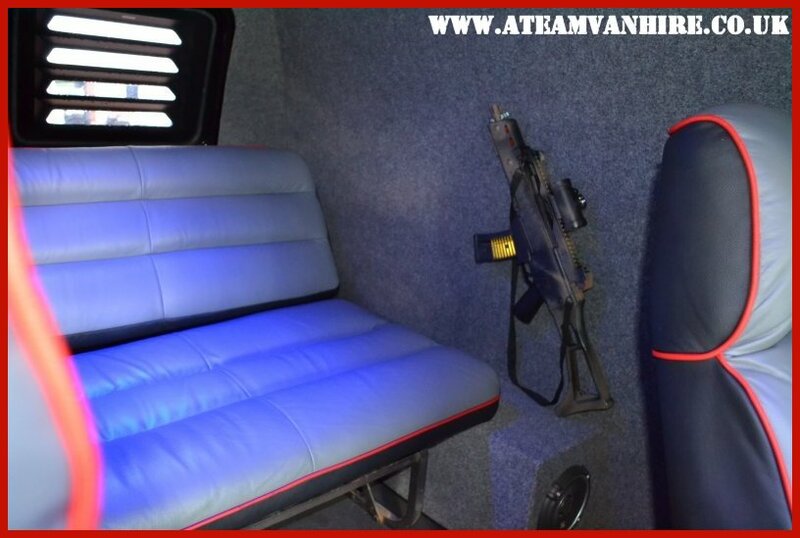 It is an A Team Van on the outside with a 6 seat limo on the inside. 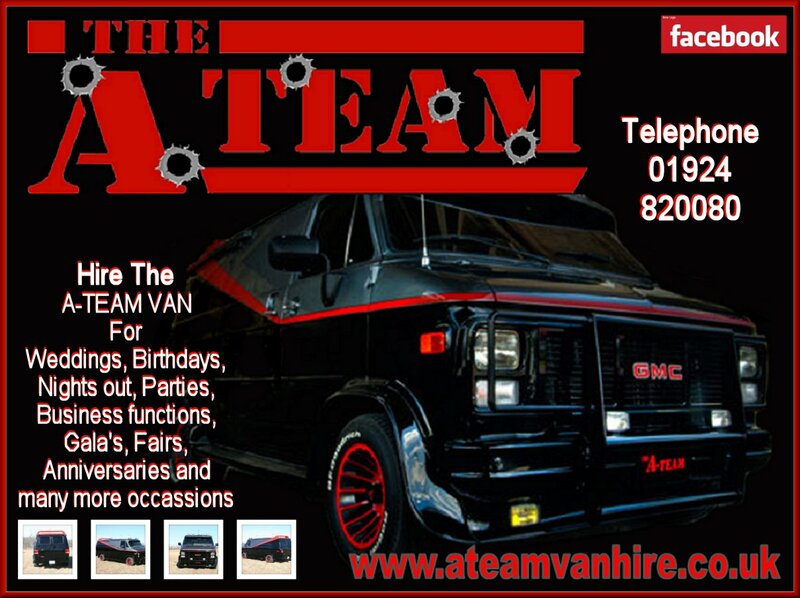 Available for hire at reasonable rates for weddings, school proms, children parties, nights out, static display, TV/film work, advertising, product/store launches. 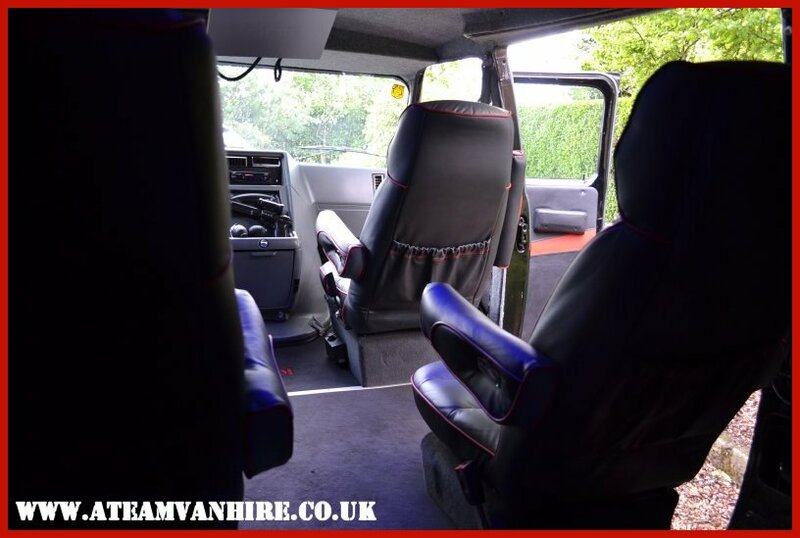 Complimentary Drinks Included With Journey. 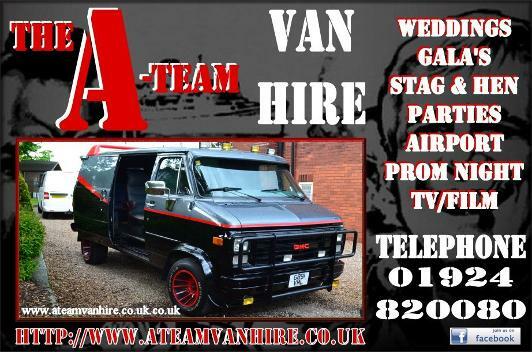 Hire this amazing and entertaining A Team Van. 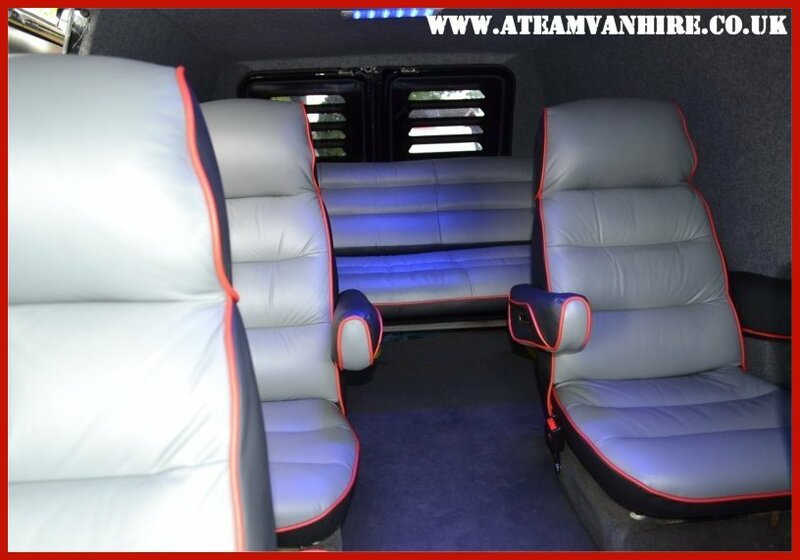 We have made it easy to reserve your date.